Any record albums - made by Stovepipe - name your price... This nine word offer made on the net appeared July 20th, 2012. It intrigued a group working for a very wealthy noted collector of Boomer artifacts. On this date the collector, his staff, became involved with the Chronologists, (who are at the origin of the offer) and the First Contacts (who responded to the offer… ) in what will become an extraordinary journey of what is and isn't. What the collector learns: from his staff, Chronologist's, First Contacts - Stovepipe is beyond ordinary radar. His impact on the recording industry becomes a project that takes on a life of its own. 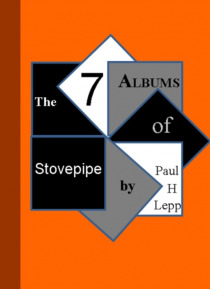 Overcome by fascination, the scenic mystery of Stovepipe and his albums unfoldsis there such an artist? Are the albums out there?